A fast-paced, often chilling case for Lorne and her team to try and solve. Lorne Warner, newly reinstated as Inspector again, is confronted with one of her worst cases to date. She knows who kidnapped the Hardy family–their kidnapper contacted her himself. But he forces Lorne and her team into a game of cat and mouse that leads them on a chase across London. As each clue brings Lorne closer to finding the family, she realises that saving the lives of the Hardys might mean sacrificing her own. I was given this book as an ARC from the author in exchange for an honest review. I am a BIG Justice series junkie. I love all the books in the series and was not disappointed by Calculated Justice, Book 12. Lorne Warner (aka Simpkins) is a strong, independent woman who often struggles to balance her passion for Justice with her desire to be a good wife and mother. By that I mean she always puts her family first but at times her decisions often put the job first which is exactly what happens in this book when she returns as DI Lorne Warner. We are reminded of some past cases (which I loved) when it appears that a kidnapping has more links to Lorne than to the victims. All the old nemeses come back to the forefront as Lorne and her team have to try and figure out why she is a target and who is targeting her. Katy, the previous DI and a friend of Lorne steps down as she is struggling with her own battle of balancing her pregnancy and the role as DI. I get the feeling this will feature more in the Justice series and knowing the author’s way of throwing some unexpected curve balls I wonder if there is going to be a future for Katy on the team. And what I also found curious in this book is their boss, Sean and the dynamics between him and the team. Is Sean on the way out? Could Lorne be in for an even bigger promotion? hmmmmmmmm……. This is why I love MA Comley’s books. They leave us #JusticeJunkies trying to figure out what could be in store while taking us on this fast-paced roller coaster ride of crime solving. Charlie, Lorne’s daughter, also features strongly in this book and it is clear she is as strong-willed and stubborn as her mum! I can see why the author chose this route for Charlie but wondered if Charlie’s own experiences with the Unicorn would not have made her a little more fragile than how she appeared in this book. Maybe I am over-thinking this. Nevertheless I enjoyed Charlie taking a front seat alongside her mother. Could Charlie also be changing her career path? hmmmmmmm…. The book ended really suddenly for me and I felt like I needed to know a little more about why the antagonist concocted the elaborate crime to lure Lorne and Charlie into his web. Again, perhaps this could have been me over-thinking and not wanting the book to end as that means I have to wait a while longer for my next Justice fix! 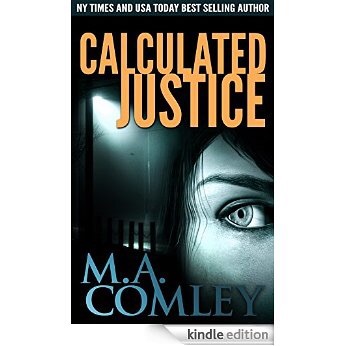 I am a big fan of this author and the Justice series and overall this book will not disappoint. The usual twists and turns kept me guessing and I highly recommend this for anyone who is looking for a great series to keep them hooked. The series can actually be read as stand-alones but I suggest that they are read in order to get a true feel for Lorne and her team. Cruel Justice #1 in Police Procedurals and 1# Women Sleuths. FREE at the moment! Rough Justice – #1 Women Sleuths – I feature as a character in this book..just saying!! Blind Justice – introduction novella to the series.